The Tacoma scenes that have livened up my viewfinder. This is a very Tacoma Scene. I've shot pictures in the same spot, but this is by far my favorite. 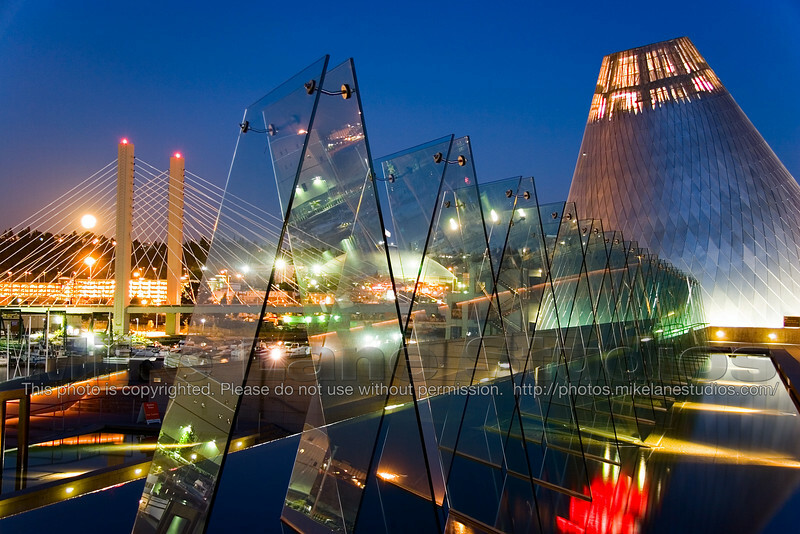 This is a picture of the Tacoma Glass Museum with the 21st Street Bridge in the background and the moon behind that. Mt. Rainier is just out of frame to the left.